For many people working in the games industry, Gamescom, Cologne is one of the year’s most anticipated trade fairs. With the return of Microsoft; not one but two Nintendo presentations; and an unanticipated appearance from German chancellor, Angel Merkel, this year’s Gamescom is shaping up to be livelier than ever. The four day event traditionally encompasses a cacophony of meetings, announcements, networking, presentations, demonstrations, drinks and more. 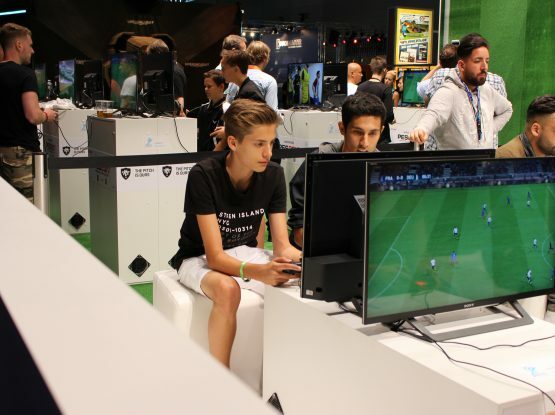 Whether this is your first visit to a trade fair or you’re a Gamescom veteran, there’s no escaping the burn-out that comes with long hours and busy schedules. Team Jelly has been attending Gamescom for as long as any of our staff can remember so we thought we’d use our experience and expertise to create this handy Gamescom 2017 survival guide. Follow these simple tips and you’ll be well prepared for whatever this year’s event has to throw at you. 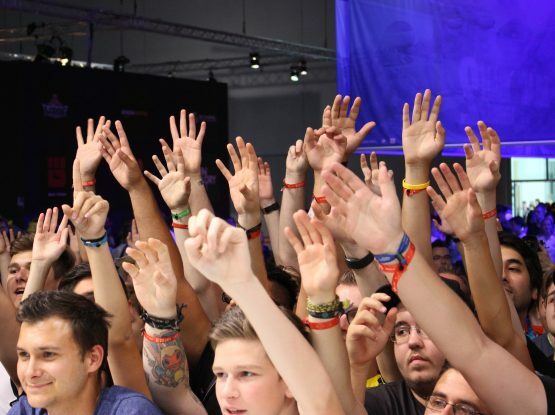 Events like Gamescom are a fantastic opportunity for on-the-fly business to business networking. For those of you who are pre-booking meetings, however, be careful not to stretch your time too thinly. People will be late, meetings will run over, and there’s always the chance that a quick catch up will turn into a 40 minute conversation. Make sure to leave plenty of time in between meetings so you’re not running around, having to mentally re-arrange your schedule, and generally causing yourself a lot of unnecessary stress. You may find you’re not able to fit as much into the day but the meetings you do have will likely go a lot smoother with a clear head and a resting pulse-rate. Free food, free water, free pens – you’re almost guaranteed to need a pen when you least expect it – nab it all and don’t feel ashamed. You’ll be doing the staff who brought them a favour in the long run (trust us, nobody wants to cart 500 promotional bottle openers back through customs). Trade fairs can be unpredictable and you never know when you’ll find yourself stuck at a booth or waiting to meet someone. Stock up freebies and you’ll always have a bottle of water to keep you hydrated and a handful of pick & mix to keep your blood sugar level from waning. Taking care of yourself and the people around you will lead to an all-round more pleasant Gamescom experience. If you’re attending with staff/colleagues make sure to keep lines of communication open so you can cover for each other or answer any questions that might come up. If you’re flying solo this year make sure to take a break every now and then to clear your head and rest your legs. Without power, your mobile/tablet/laptop is just deadweight. Remedy this by investing in a power bank or other form of portable charger. Charge it overnight each night and you’ll never get stuck at a plug socket trying to coax a bar out of your phone before your next meeting. On the subject of meetings, do yourself a favour and pick up a small bottle of antibacterial hand gel. You’ll probably end up shaking a lot of hands that have shaken a lot of hands throughout the day. Just make sure to wait until you’re alone to use the hand gel; you don’t want to offend anybody by implying their hands are the manual equivalent of a public restroom toilet seat to you. It’s likely that you’ve already got a pretty clear idea of what you want to get out of this year’s Gamescom in your head and that’s good. It pays to think ahead but don’t let your plans pose unnecessary limitations or restrictions on your time. Just because you’re here to meet triple A publishers doesn’t mean you should ignore indie studios or even non-trade visitors such as members of the public. You never know what opportunities may present themselves when you network outside your usual circle. The independent developer you took the time to chat to might remember your name in a few years’ time when his latest title is up for Game of the Year. That cosplayer you complimented on the show floor could help you market your next big launch. Our advice? Be more open to new experiences. Don’t go in to them with the sole purpose of getting something out of them but don’t avoid them based on the fact you might not, either. We understand the novelty of any trade fair wears off eventually; especially if you’ve already attended nine other fairs this year. Spending days at a time under artificial lighting might not be your cup of tea but don’t let that set the tone for your experience before you’ve even been. Yes you’ll be there to work but try not to let work be the only thing you do this Gamescom. We all blow off steam in different ways, whether that’s by allowing yourself to get swept up in the excitement of a long anticipated game or by meeting up with an old industry buddy for a couple of drinks. Take the time to do at least one thing you enjoy over the course of the event and you might find yourself looking forward to it all the more next year. We’ll be attending Gamescom 2017 from the 22nd to the 24th of August and we’re always happy to meet new people. If you’d like to book a meeting, or just fancy introducing yourself, send us an email at hello@jellymedia.com. 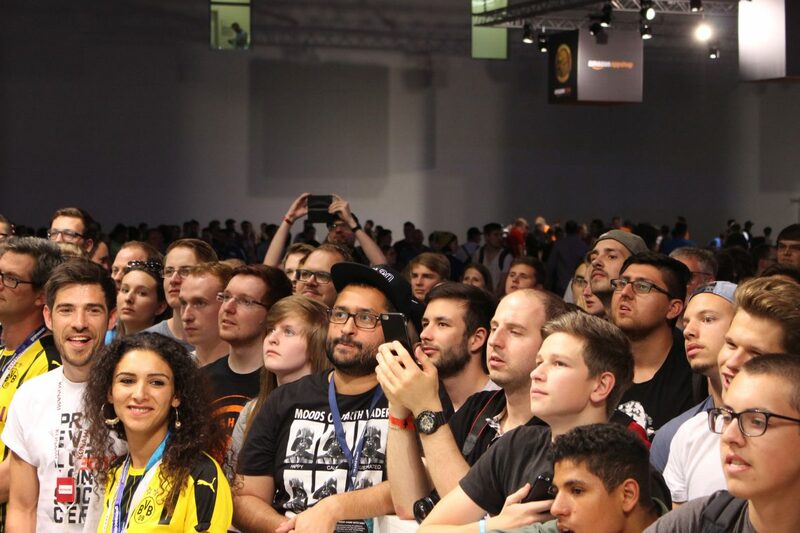 We’d love to hear about what you’re looking forward to seeing this year and about your Gamescom experience in general!  Let us know on Twitter: @Jellymedia.